Real jazz. Real jazz players. Real instruments. It does make a difference. Music from musicians with a commitment to jazz. Saxophonist Ethan Robertson and guitarist Russ Haines have played together for over 20 years, touring and playing the Montreux Jazz Festival, Switzerland and elsewhere. Bassist Mike Perkins and pianist Robert Kennedy have played with Robertson and Haines for over ten years. Newest addition Casey Smiley on drums complements the group with fresh energy and a contemporary beat. 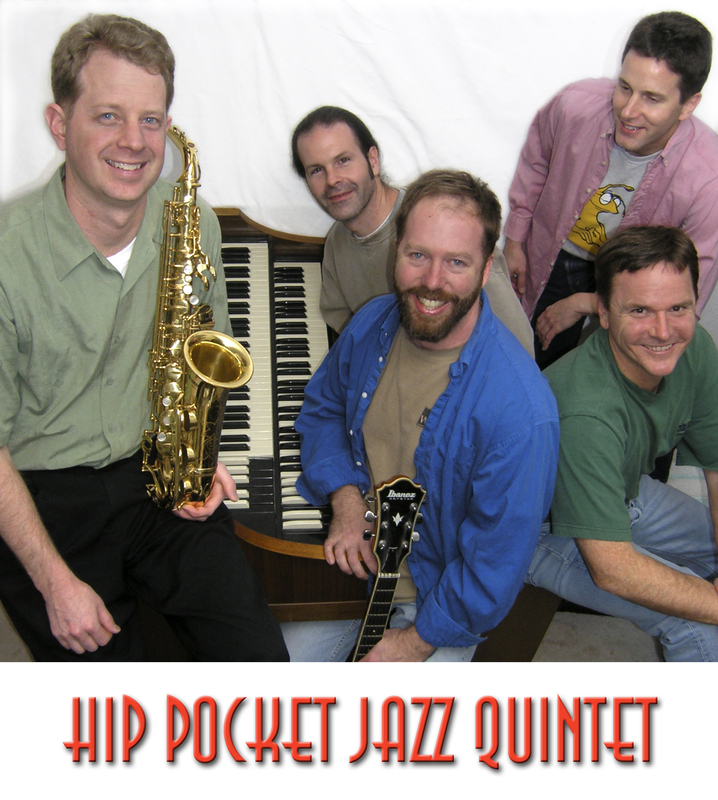 Hip Pocket can provide references from very satisfied clients, from corporate events to club gigs. Hip Pocket has the skill and experience to suit your specific needs, whether you need the intimacy of a small combo or the energy to fill a large hall. For availability and pricing, phone (408) 244-4622 , or email HipPocket@JazzCombo.com.